Louvolite Perfect Fit blind is the most attractive and innovative window blind available on the market today. Louvolite Perfect Fit is a revolutionary system that enables window blinds to be fitted perfectly onto most double glazed windows and doors, with no holes drilled into your uPVC frame! 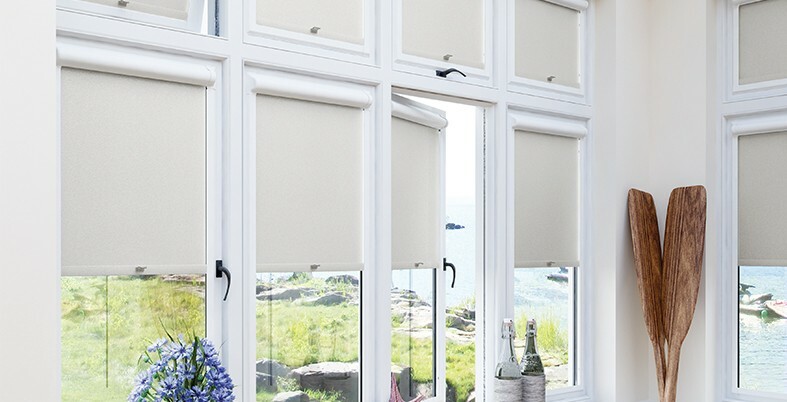 The unique Louvolite Perfect Fit blind fits neatly onto the window and enhances your privacy because there are no gaps down the side of the blind. Whether you select a contemporary design for the living room, a blackout fabric for the bedroom or a moisture resistant print for the bathroom, our fabrics collection in combination with the Perfect Fit system is the ultimate in style. Why is Louvolite Perfect Fit Unique? Louvolite Perfect Fit is unique because the window blind fits neatly into a stylish frame, which moves together with the windows and doors when they are opened and closed giving you the perfect combination of shade and ventilation. • There’s a huge range of fabric colours and textures to match your interior design scheme. • No drilling or screwing is required into your window frames for a quick and clean installation. • There are reduced gaps at the edge of the blinds increasing your privacy. • Louvolite Perfect Fit is child safe because there are no loose cords or loops. • Leaves window sills clutter free. • Louvolite Perfect Fit is easily removable for cleaning.